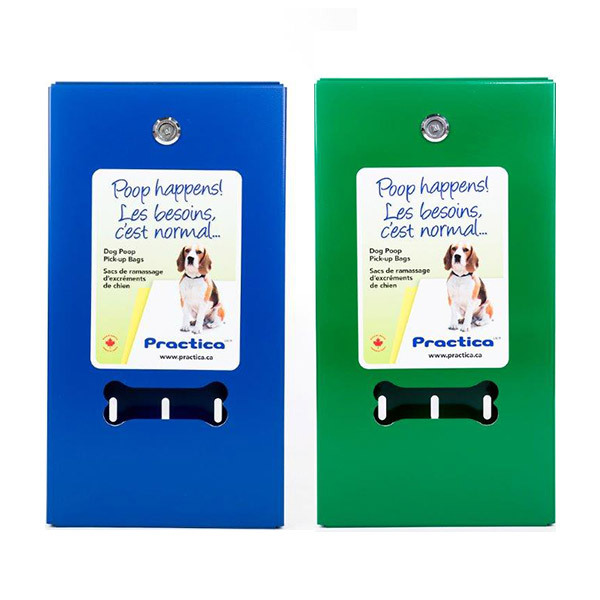 Each dog bag dispenser holds up to 400 bags and easily dispenses one bag at a time. 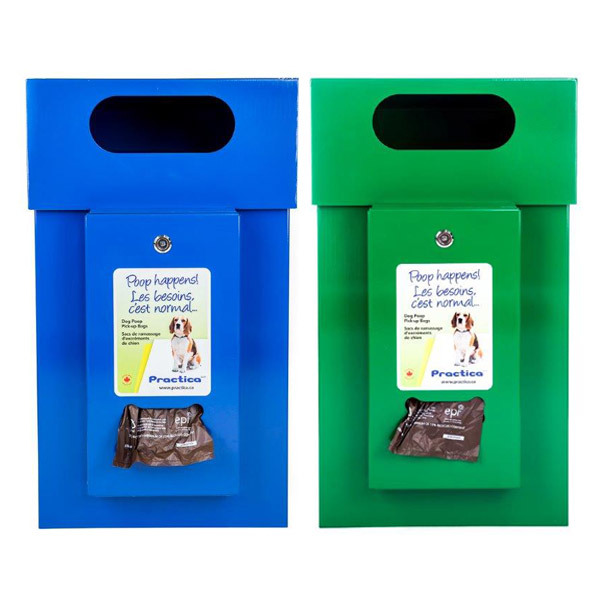 Each dog bag dispenser holds up to 400 bags and easily dispenses one bag at a time. 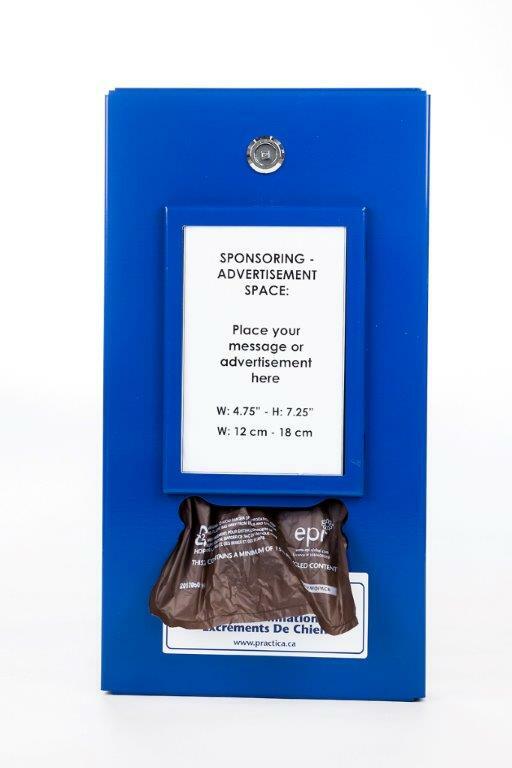 The advertising frame helps to generate revenue to reduce operating cost. 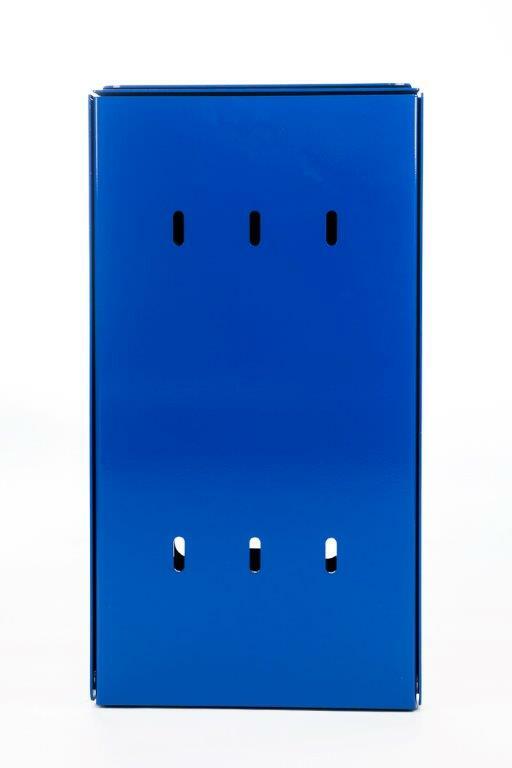 Each unit has a front panel with a plexi glass insert for advertisement. 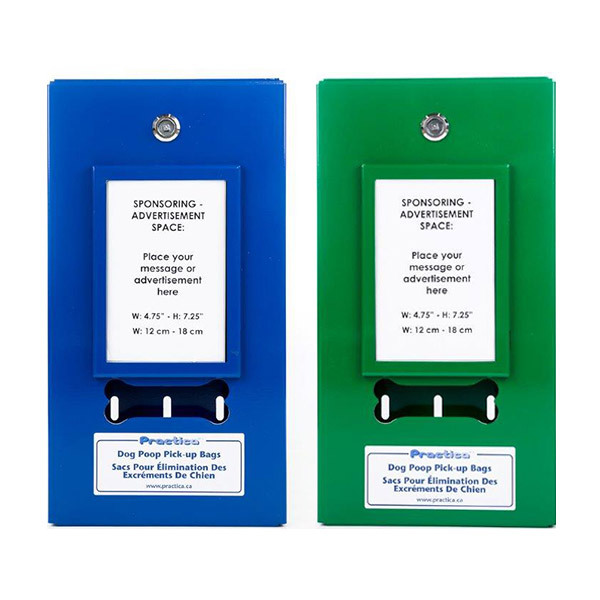 The dispenser is made of 14 gauge galvanized steel and powder coated with non fading paint (available in green and blue). 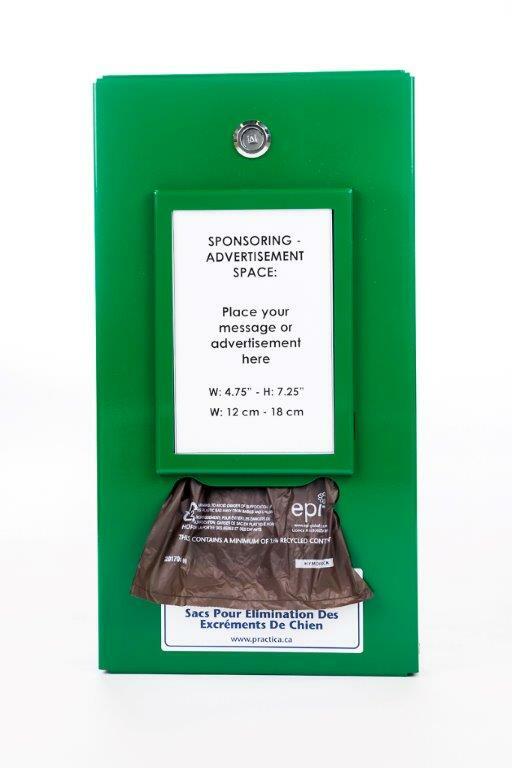 Each unit is keyed to ensure security from damage and easy access for bag replacement. 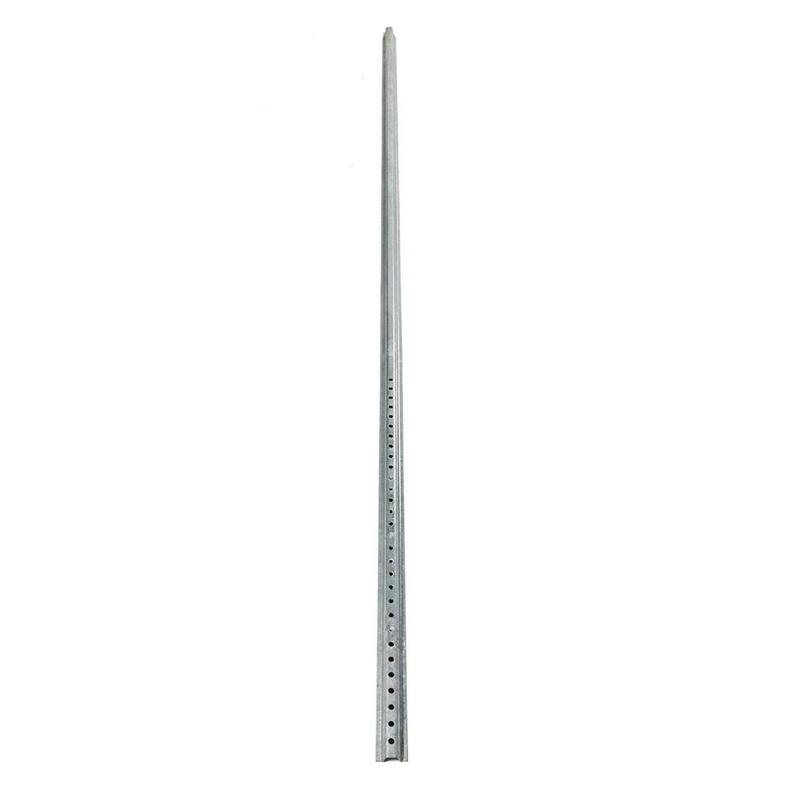 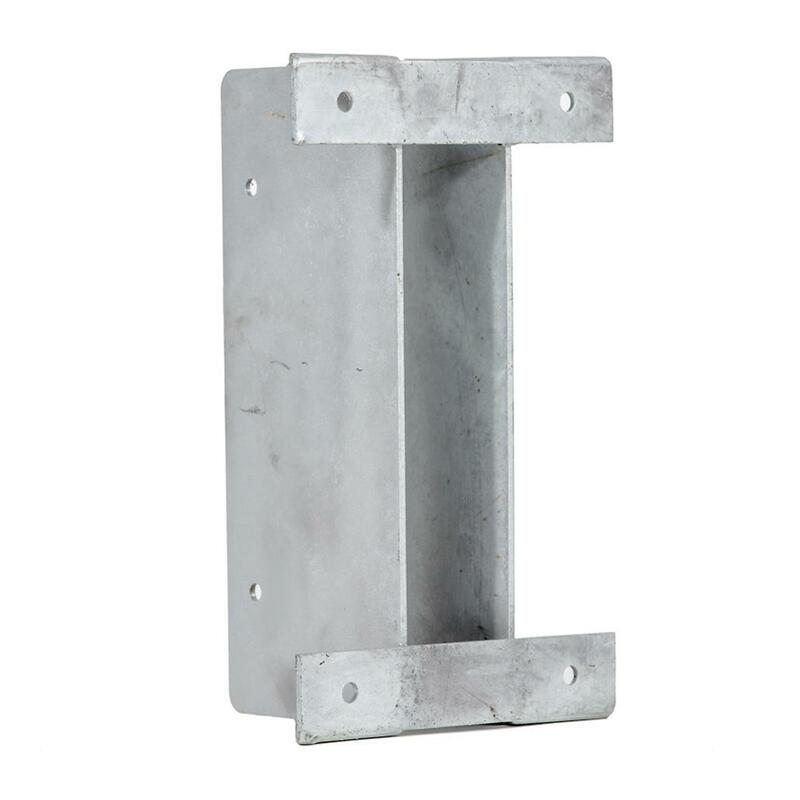 A variety of mounting possibilities exist to meet your site needs. 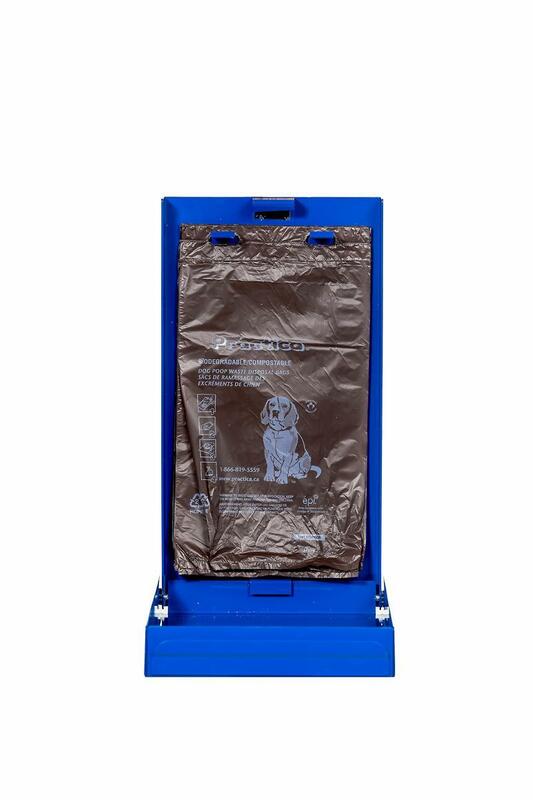 The ideal height of the dog bag dispenser opening above the ground is 48 inches or 120 centimetres. 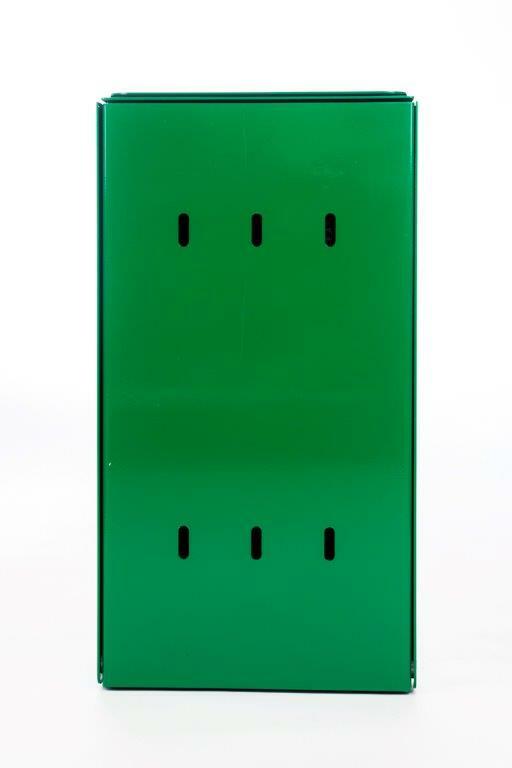 Custom colours are available on orders of 50 or more units.